Wedding Band or Wedding DJ? Which will work on your big day? Live performances from Wedding Bands offer an amazing atmosphere! Wedding Bands are by far one of the most popular types of wedding evening reception entertainment and it is easy to see why. 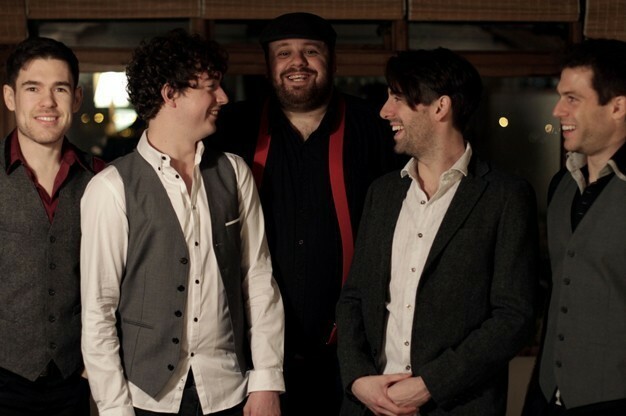 A wedding band specialises in performing at weddings so they always have plenty of experience. Usually consisting of a number of musicians and a singer or two, a wedding band will play live tracks of covers from many eras. From the 1960’s to the present day, a wedding band will have a massive repertoire of tracks that they can perform and you can talk with them to select not only your perfect first dance song, but a number of other songs for throughout the evening too! A Wedding Band will need space to set-up, due to their equipment, especially if there are a number of guitarists and a drummer and time to get all of their equipment ready. This can be done behind the scenes during your wedding breakfast if your evening reception is in a different room at your wedding venue. If you want to put on a fantastic evening of musical entertainment, which is certain to get your guests up on the dancefloor and live music is always a winner at any occasion. Click here to view all of the wedding bands listed with our entertainment directory! Opt for a Wedding DJ and keep things simple! Now let’s look at DJs. These individuals are similar to normal party DJ’s yet will have a certain flair about them to be able to get guests up on the dancefloor! The wedding DJ is probably a more common choice for wedding evening receptions because they are so versatile. They will have the option for a lot more music choice than a wedding band as they simply buy licenses to play many modern songs, from the hits of Elvis Presley in the 1960’s to current chart toppers such as Coldplay and Adele. You may be worrying that a wedding DJ won’t have as much of a WOW factor as a live wedding band, but that is not always the case. These DJs are talented in that they banter with guests, make announcements such as your first dance and even take requests. They don’t need a huge amount of space to set up and many even come with their own portable light-up dancefloors! All you need to do is ask your chosen Wedding DJ what services they offer and if there is an additional cost for lighting and other added options. 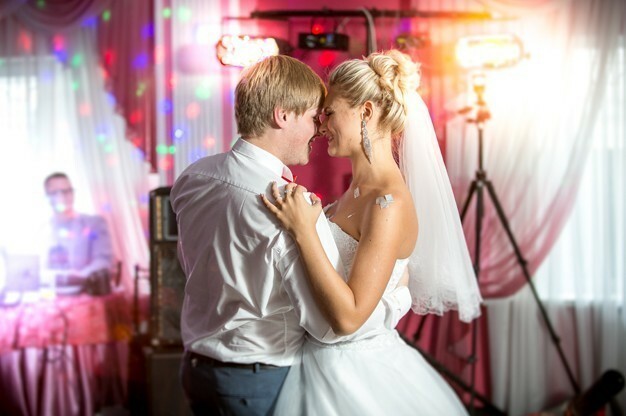 Want to find a wedding DJ near you for your upcoming big day? Click here to view our selection! But how do you choose between the two? Choosing between a wedding band is very much a personal choice and there is no wrong or right answer. If you are hosting hundreds of people for your wedding evening reception and want to really give them the wow factor, a live wedding band does have a certain ambiance about them that oozes sophistication. You also need to consider the cost of hiring a wedding band against the cost of a wedding DJ. Some wedding bands will easily charge upwards of a £500 to over £1000 for one evening, whereas wedding DJ’s are that little bit more affordable and can vary from a few hundred pounds. Space might also be an issue in deciding what type of musical entertainment you wish to book for your wedding day. If you are having a smaller wedding, a Wedding DJ might be a better choice for entertainment since they usually take up less space than that of a Wedding Band. Another consideration is the variety of music you wish to be played. Always make sure that if you are looking to book a Wedding Band that they have your favourite songs in their repertoire before you book, or if there is that special first dance song you wish to be performed and it is not listed, see if they can accommodate. We recommend sitting down as a couple to decide what you really want for your wedding evening reception and also to discuss your budget for entertainment and then using our entertainment directory you can browse through profiles of all of the available Wedding Bands and / or Wedding DJ’s to create a shortlist of your favourite entertainers. Once you have selected the perfect entertainment for your big day, you can easily and quickly contact them directly either using their partially hidden telephone number or the big green “Request a Quote via E-mail” button. Our service is one of the only entertainment directories that put customers in direct contact with entertainers at no additional cost! Want to Save Time When Booking Your Entertainment? Sit back, relax and have your Entertainment contact you! By adding a post to our website e.g. 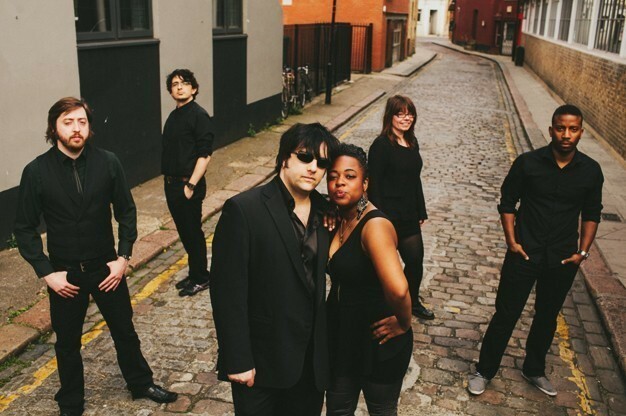 ‘Wedding Band for Wedding Evening Reception on 18th August’, our available acts will contact you by email. Look at the Entertainer’s publicity, decide which is your favourite and contact them directly! The entire service is completely free of charge. Tell us what entertainment you are looking for now and we will do the rest! Contact us. What to ask your Wedding Band before you Book!